131, Tingkat Bawah, Jalan Bunga Pekan 2, 42700 Banting, Selangor, Malaysia. We provide products to the healthcare industry in Malaysia such as Healthcare Equipments, HydraFacial Systems, Perk Systems, etc. JSN Horizon supplies health care equipments such as treadmills, exercise bikes, massage chairs, etc. 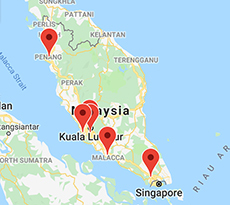 8, Jalan Industri Impian 1, Taman Industri Impian, 14000 Bukit Mertajam, Pulau Pinang, Malaysia. Otaru Lab Enterprise is the leading agency for Coway water purifier, air purifier and water filter. Condominium Indah Alam 1-03-08, No 4, Jalan Jubli Perak 22/1, Seksyen 22, 40300 Shah Alam, Selangor, Malaysia. Shah Zhong Bao Enterprise supplies a variety of forest wood and Feng Shui products. 43-1, Jalan Musytari AM, U5/AM, Taman Subang Impian, Seksyen U5, 40150 Shah Alam, Selangor, Malaysia. We specialize in OEM manufacturing services for food supplements, health supplements, powder, chewable tablet, liquid and lip matte. 7192, Tingkat 1, Jalan BBN 1/2E, Putra Point Bandar Baru Nilai, 71800 Nilai, Negeri Sembilan, Malaysia. We specialize in organic products, health foods, supplements, organic spine-care mattresses, health consultations and health talks. 225-226, Jalan Berangan, Kampung Jambu, 34000 Taiping, Perak, Malaysia. BYT Global Healthcare is a health care products supplier for heart disease. Our customer care team is based in Puchong, Selangor, Malaysia. V-Infinity is your number one healthcare products supplier for better male sexual performance. We are based in Penang. TBP 5432, Kg. Besar Berapit, 14000 Bukit Mertajam, Penang, Malaysia. Our company have unrivalled experience in supplying premium gift, furniture and health care product. ZM Kawan Sdn Bhd is a company that specializes in manufacturing, distribution, wholesale, import and export of prepack food, frozen food, beverage, seasoning, fruit, dried fruit and healthcare product. Our office is located in Bayan Lepas, Penang, Malaysia. 41, Tingkat Relau 6, Setia Vista, 11900 Bayan Lepas, Penang, Malaysia. We specialize in multi-range of ABS, PVC & metal first aid kits, first aid training programmes and fire fighting & safety products. 7&9, Jalan Industri Mas 3, Taman MAS, 47130 Puchong, Selangor, Malaysia. Resett Sdn Bhd is one of the leading authorized distributors and suppliers of Hospital Medical and Home Care products in Malaysia, serving the medical profession and the general public. Our main office is located in Taman Pelangi, Johor Bahru (JB). 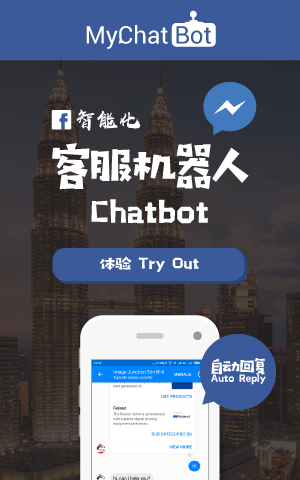 16, Jalan Abiad Satu, Taman Pelangi, 80400 Johor Bahru, Johor, Malaysia.